Are you an audiobook aficionado? Or maybe you're an aspiring one? Either way, I've got you covered. Think of all the stories you want to read, but you just don't have time to curl up on the couch for an hour or two. Imagine listening to the Annika Brisby series during those long commutes to work, while you mow the lawn, or while soaking in a bubble bath. And the best part? My narrator Nick Cracknell has a voice that could melt butter. Why not find out for yourself if it really can? 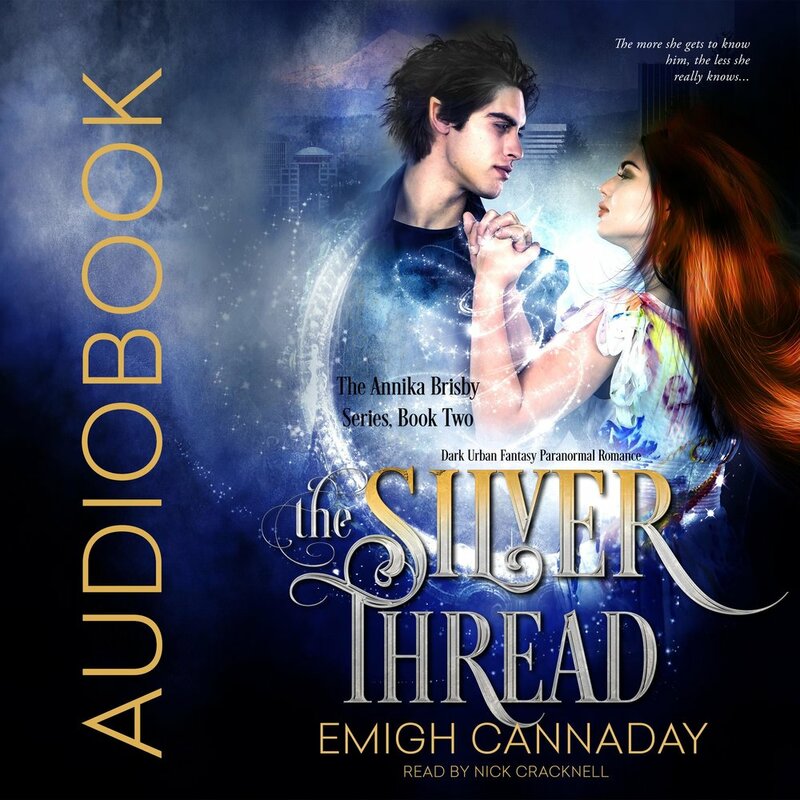 * As always, you can sign up for my newsletter to hear when new audiobooks are released, and get access to an exclusive interview with narrator Nick Cracknell! My audiobooks are available worldwide on Amazon, Audible, and iTunes. Amazon has each one priced at $22, OR you can snap up a FREE copy with a 30-day trial at Audible. Available at all Amazon stores. Regular price is $25, or get one FREE when you sign up for a 30-day trial at Audible. A subscription is only $15/month and includes a free credit every month towards any audiobook you want—regardless of price, as well as 30% off all other audiobook purchases. If you don't like a book you can easily exchange it for free. You can cancel at anytime. Apple has them priced at $22. Touch the iTunes logo or click here to start listening. I couldn't find any special offers or deals for buying audiobooks on Apple. However, I DID find this handy guide for how to listen to an Audible audiobook on iTunes.